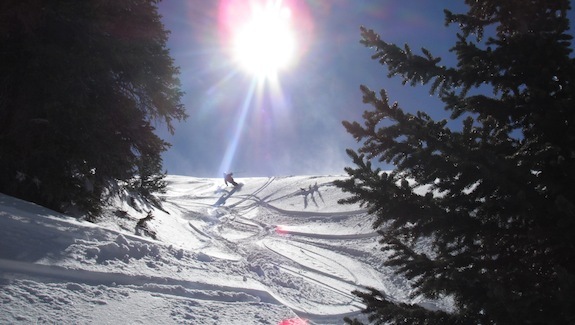 Ski season is underway in Colorado with Keystone Resort and Arapahoe Basin open on the Epic Pass and more opening in the coming weeks. Other than the anticipation of a huge snowstorm, there is not a more exciting time than the beginning of the season. However, with lots of visitors getting back into their groove and limited terrain open, you need to know what you’re doing to get the most out of it. Here are a few pointers. Always know what you’re getting into. Check Breckenridge’s website to see what lifts and runs will be open, what time the lifts open, and what kind of weather is coming. In general, you don’t expect the snow to be the best of the season, but last year’s storms allowed for powder turns on opening day at several mountains. At the beginning of the season, it’s really easy to become distracted and make rookie mistakes like leaving your pass in the wrong jacket or forgetting to put your ski boots in the car. Don’t be that person. A few days before you hit the mountain, get your gear out, go over it, and make sure you have everything. You can even be a big nerd like me and make a checklist to ensure you don’t forget anything. While it makes for an interesting story, getting injured on the first day of the season is no fun. Ease into it. Skiing and boarding use different muscles than most people normally use, so let your body warm up. The runs are probably going to be a little crowded anyway, so maybe focus on your technique instead of trying to set a new land speed record. And as always, know the code. There’s always going to be a limited amount of snow to start the season, so day one is probably not going to be your best ski day of the year, but it can be one of the best experiences. Be sure to take in and enjoy the entire experience. Get excited for the season by watching some new ski films. 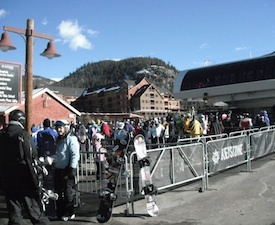 Enjoy some aprés activities at the bar or hot tub. And participate in some of the fun events like Wake Up Breckenridge or cupcakes and a special beer at Breckenridge’s opening day. We had to wait around all summer just dreaming of snow and now it’s finally here, so make sure when you head to the mountain that you make the most of it!